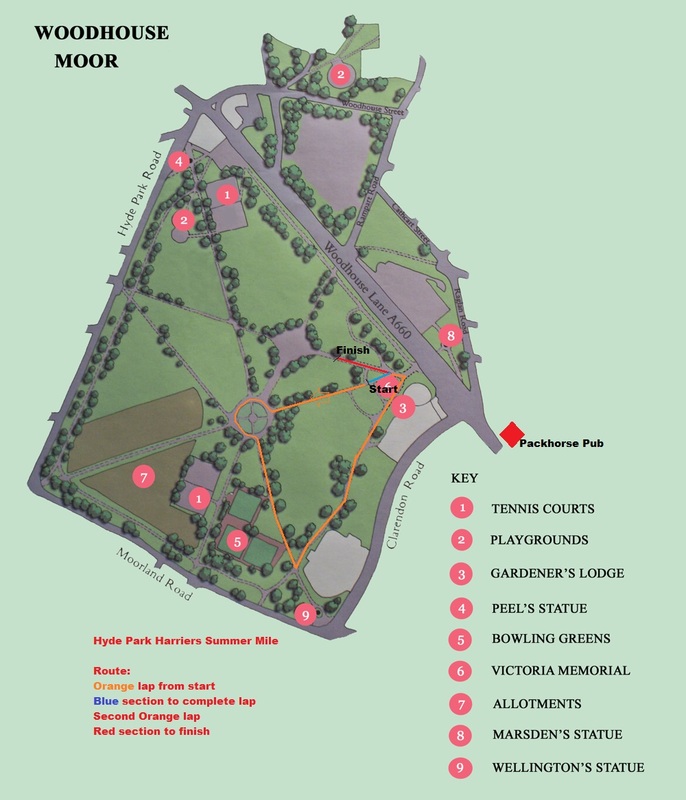 Hyde Park Harriers’ 9th Annual Summer Mile is a one mile race staged in heats on tarmac paths in Woodhouse Moor. Tell us your predicted time when you enter (a time predictor is at www.runnersworld.co.uk/rws-race-time-predictor) and we’ll put you in a heat with others of a similar standard. First heat is at 6:45. Evening includes a Race Walk at approx 7:30. We aim to have the final heat no later than 8.50pm. Registration from 6pm. All standards welcome. Medal for all finishers. Chip timing provided by EvenSplits. No MP3s, no headphones, no music devices etc are permitted. Water provided. Prizes for overall winners. Prizes provided for best in club. Prize for a new event record.